The Leinster Schools Committee issued a statement last week about the recent incident involving a medic from Gonzaga and a referee. The Committee backed the referee and handed down no sanctions, no reprimand, just a reminder that the referee is the final arbiter. Carpet meet brush, nothing to see here. Except there was plenty to see and great video. The referee had his judgement questioned loudly, on TV, by the medic who he had deemed to be carrying out a Head Injury Assessment on a Gonzaga player. The referee sent the player off to be replaced, as he's supposed to do if there's any hint of a suspected concussion. HIAs are not permitted below senior professional level. 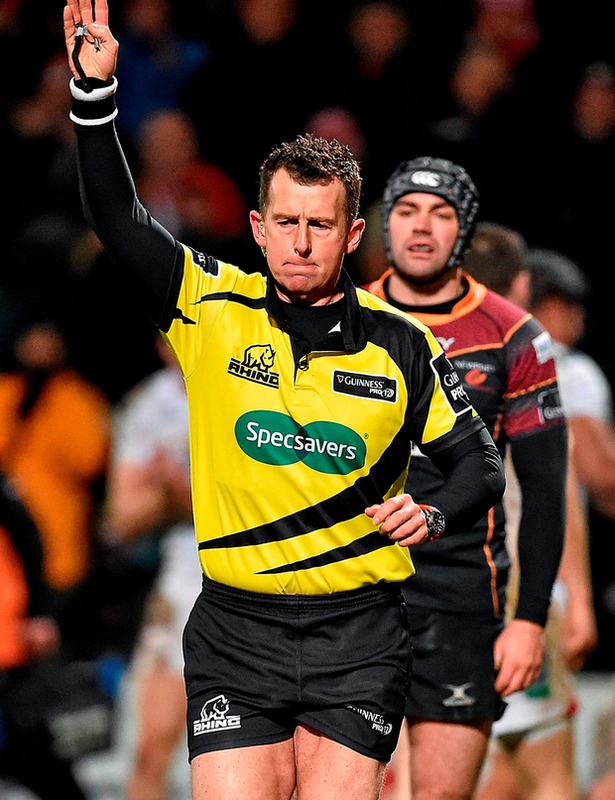 Rugby prides itself on the "this is not soccer" maxim made famous by Nigel Owens where the players and management are deferential to the referee. Not any more. As yet there's been no statement from Gonzaga. No public apology to the referee. This is not soccer. Sure.